1. People keep asking me my opinion on deodorants. Or they use deodorants as a catch-all toxic excuse. Like, “I would totally switch to non-toxic stuff, but I tried to switch to a natural deodorant once, and it was the worst.” I get it. It’s hard to find an effective one! Maybe if I can find you a good deodorant, you’ll consider switching your mascara and nail polishes, too! 2. Finding a non-toxic deodorant is especially important. Unlike like most beauty products, you are slathering deodorant on a large, very porous surface area that you just nicked and scratched with a blade every single day of your life. You are absorbing whatever ingredients are in that deodorant/anti-perspirant into your body–sometimes twice a day–as you go about making yourself fit for polite society. 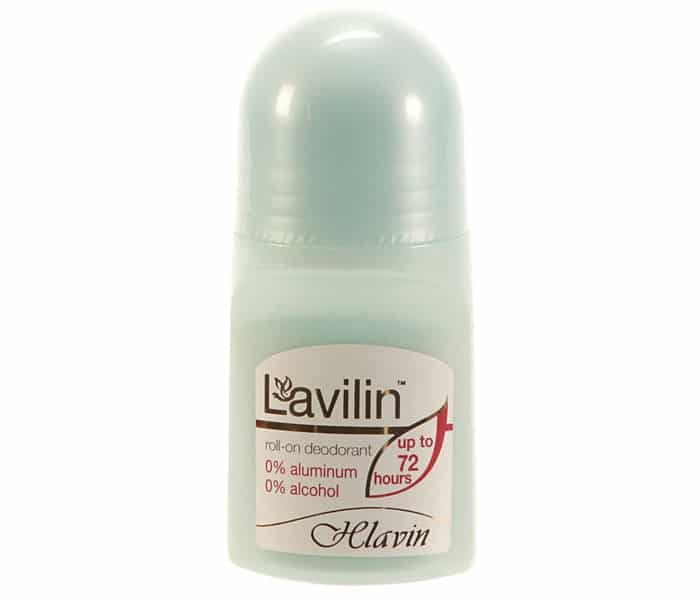 Plus, there is evidence that conventional deodorants, which have aluminum (a heavy metal), are especially toxic, and may increase your risk for breast cancer. 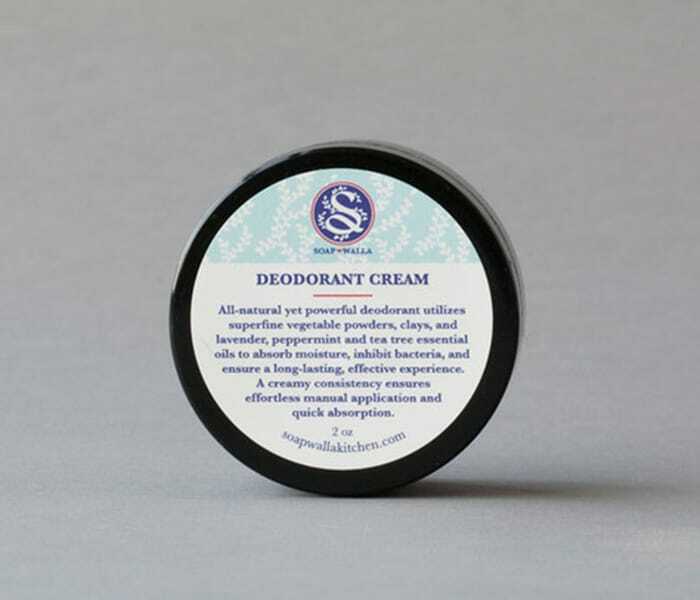 At the very least, a product like Secret Scent Expressions Clear Gel Anti-Perspirant & Deodorant, in So Very Summerberry (Wow, that is a name) has a moderate hazard rating of 5 on the Skin Deep Database. We can do better than this. 3. I’ve been trying out different deodorants for five years now, and have hit on a few that I like a lot (and a couple to avoid). And of course I would like to share that knowledge with you! Here’s the thing: we all sweat differently, and have different body chemistry. What works for me may not work for you, and vice versa. So please take these reviews with a grain of salt. But I think this will give you a good jumping off point from which to start your search for an effective deodorant. 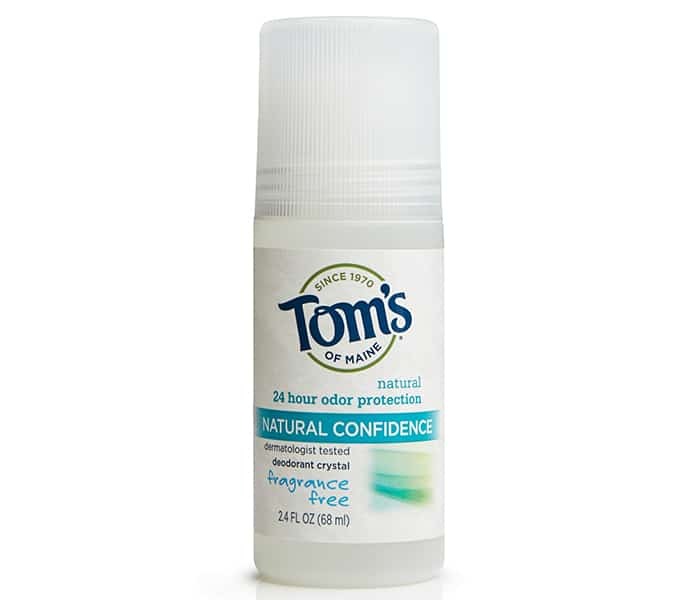 I first discovered Tom’s crystal deodorant when scavenging the local natural foods store for an effective deodorant replacement for Secret (this was about five years ago). I tried a bunch of different kinds with no success. Then I read that crystal deodorant is supposed to work, and during my next visit to the grocery store, this brand jumped out to me. Lo and behold, it was the only one that worked as effectively as the conventional stuff! If you need to run out and grab something now, this would be your most convenient bet. Ingredients: Water, Potassium Alum, Xanthan Gum, Orange Fragrance, Zinc Citrate, Benzoic Acid. Skin Deep Rating: 1 – clean. Any regular reader of this blog will know that I love Meow Meow Tweet. This couple duo produces vegan, organic skincare items out of their Bushwick studio with squee packaging to boot. But my favorite item is their lavender deodorant. I got a sample to try almost exactly a year ago, and fell in love. It’s a fluffy paste that you apply with your fingers to your underarms. 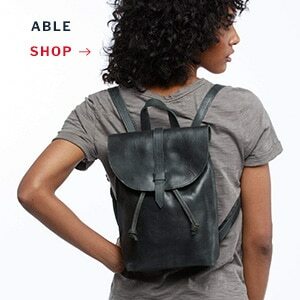 It smells pleasant, and–most importantly–keeps you dry all day. My only caveat comes from a friend, who said it necessitated an emergency trip to the dry cleaners when it got on an expensive silk dress. (The dress survived, but she’s decided not to use it again.) I’ve never had that problem, but perhaps keep that in mind if you are putting on an expensive silk something close to your pits. Ingredients: Organic virgin coconut oil, organic jojoba oil, organic shea butter, organic arrowroot powder, baking soda (naturally mined), kaolin clay, lavender essential oil. I had extremely high hopes for this brand, which has gotten insanely good press for the past few years, to the point where I just assumed I would love it–especially since it’s made right in Brooklyn by a small skincare company. I picked up a full-sized jar in a local shop and … was really disappointed. I wouldn’t even be working out or sweating, and slowly it would dawn on me that my pits were slick with sweat (though not especially malodorous). Granted, this was during the summertime, but when I switched back to MMT, the problem was solved. Ingredients: Organic Jojoba Oil, Organic Sunflower Oil, Organic Rosehip Seed Oil, Shea Butter, Organic Food-Grade Corn Starch, Food Grade Sodium Bicarbonate, Kaolin Clay, Organic Food-Grade Vegan Kosher Glycerin, a custom blend of essential oils, including: Organic Lavender, Tea Tree, Sweet Orange, Organic Peppermint, Organic Bergaptene-free Bergamot, Organic Food-Grade Non-GMO Soy lecithin, Organic Food-Grade Non-GMO Vitamin E.
Schmidt’s has several scents available, including Cedarwood+Juniper, Lavender+Sage, Ylang-Ylang+Calendula, Bergamot+Lime, and Fragrance-Free, all except the last made with essential oils. They all smell lovely and I wouldn’t necessarily recommend one over the other. The jar comes with a spatula, which helps you scoop out the product, since it is very solid inside the jar. 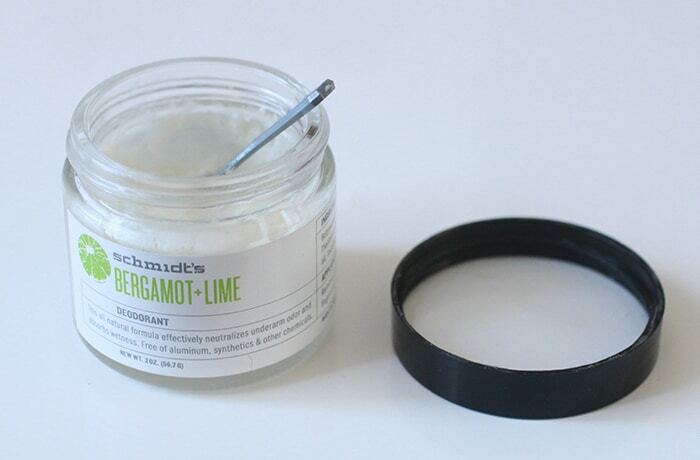 You scoop it onto your fingers, warm it up a bit by rubbing it between your fingers, and apply it to your underarms. In this sense it’s a little more work than a typical roll on deodorant or a spray deodorant. I tried it out during spring as the days got warmer, and it worked great. Schmidt’s also has a stick version, but I wouldn’t recommend it. It made my underarm lymph nodes swell, and gave my dude a rash, and in talking to other people, they had similar reactions. I was offered the chance to try out this deodorant, but hesitated because the packaging isn’t that sophisticated. I decided to give it a try, and was shocked at how wonderfully it worked. 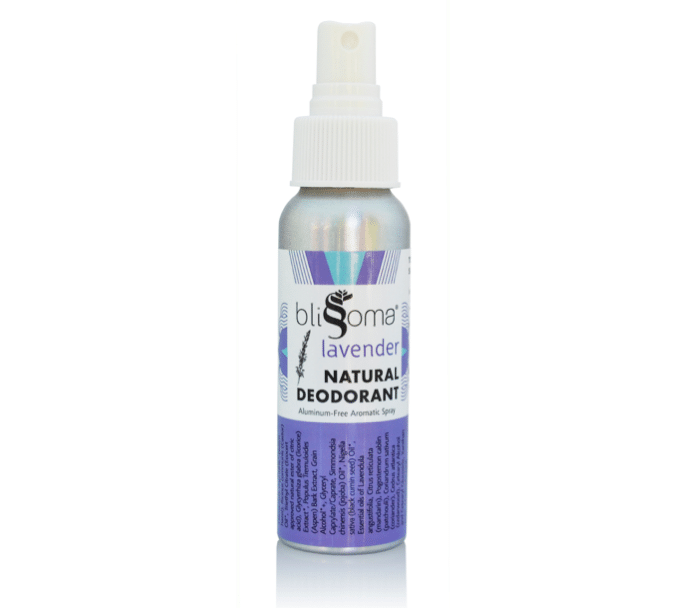 While the solid version is rough in texture and annoying to spread on your underarms, the lavender spray is perfection. I sprayed it on and went about my day, not remembering until the next morning when I blearily opened the medicine cabinet and remembered, oh, I put on that new deodorant yesterday. (Armpit sniff.) Hmm, I smell completely normal. 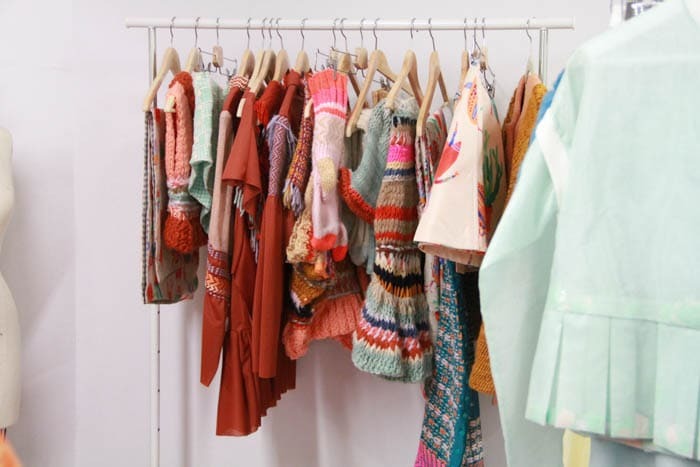 I kept using it–for normal days and for SoulCycle days–and was completely blown away. You’ve won a convert, Blissoma. 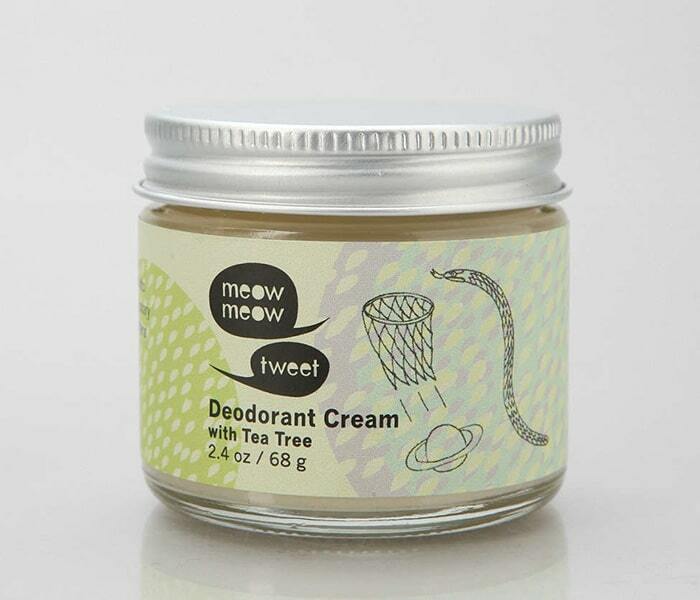 A deodorant that works for 48 hours? 72 hours?? Sign me up! (Even if it does look like it marched right out of the 80s.) Unfortunately, it was not up to even the pitiful task of my armpits on a day when I didn’t work out. By the time I got to cocktails at 8 pm, I could smell my own pits. Even worse: They smelled like man pits. Gross. Ingredients: Aqua (Water), Oryza Sativa (Rice) Starch, Zinc Oxide, Lactose, Mik Protein, Bifica Ferment Lysate, Capryloyl Glycine, Ethylhexylglycerin, Cocoyl Proline, Sodium Acrylate/ Acryloyldimethyl Taurate Copolymer, Isohexadecane, Polysorbate 80, Maltodextrin, Hyssopus Officinalis Extract, Eugenia Caryophyllus (Clove) Flower, Phenoxyethanol, Parfum (Fragrance), Hydroxyethylcellulose, Allantoin. Skin Deep Rating: 3 – low level of hazard. Want more? Spades + siLK has tested even more aluminum-free deodorants and shared her faves.